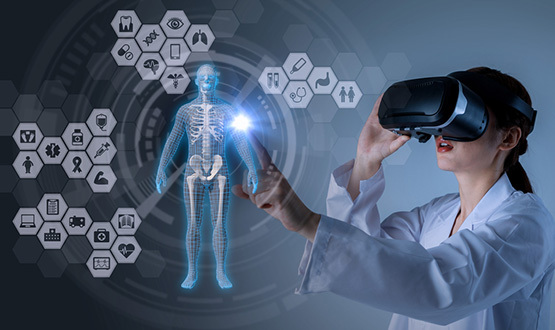 Anna Knack of RAND Europe looks at how virtual reality and augmented reality could transform the healthcare sector, from improving health outcomes and incentivising healthy behaviour to impacting the job market. Immersive technologies such as virtual reality (VR) and augmented reality (AR) allow users to behave how they would in the real world, but in an artificial environment centred around the user through headsets, earphones, and other body sensors. However, both technologies couldn’t be more different. VR is the use of computer technology to create a simulated environment, while AR is an enhanced version of reality with the technology adding additional elements or images. 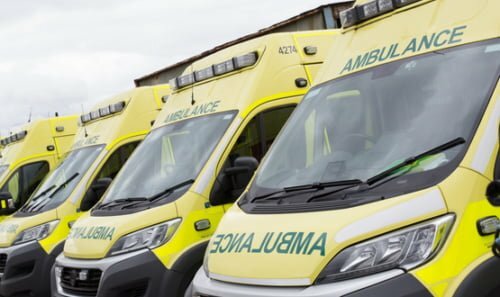 Both technologies have the potential to create new applications that support the training of medical professionals and the delivery of health services and improve the health outcomes of NHS users. However, they also risk displacing workers in the health sector, including public servants in the NHS. The UK digital health system is already home to pioneering innovations in the AR and VR space. The most well-known example is the first operation to remove cancerous tissue using a VR camera, which was performed in the UK at the Royal London hospital. This allowed numerous medical students to watch the operation ‘live’ instead of a few students straining to catch a glimpse over a surgeon’s shoulders. However, there are also a host of other examples, within the NHS and globally, of AR and VR helping improve the health outcomes of patients. The Blue Room, an immersive VR technology, which has been developed by Newcastle University’s Institute of Neuroscience, helps those with autism overcome phobias through re-creating real-world scenarios through VR. The technology is now being offered in the NHS. In addition, LOROS Hospice, a local charity working to support people who need specialist palliative care in Leicestershire and Rutland, has given bedridden and terminal patients the chance to go for a ‘walk’ through a park thanks to VR headsets. 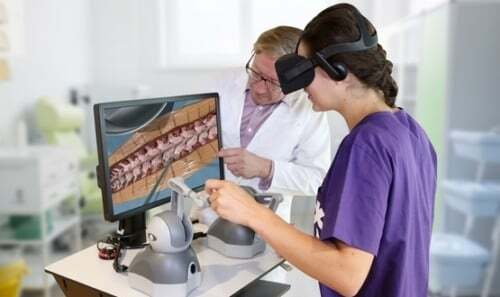 AR and VR technologies could also help the NHS and other health service providers make service delivery more cost-effective, particularly when training future medical professionals. For instance, they can be used in simulation training to reduce the number of educators and trainers required, and increase the number of students who can participate in these training sessions. From a US perspective, there are examples of hospitals using VR to train doctors, nurses and medical personnel to reduce training costs. One example is the AR and VR company Next Galaxy Corp partnering with Nicklaus Children’s Hospital to develop VR medical instructional software for a number of procedures, such as cardiopulmonary resuscitation (CPR). In addition to helping medical professionals, there is growing evidence that suggests that these technologies empower users to monitor their health and incentivise leading a healthy lifestyle. Some mobile apps aim to combine elements of gaming and entertainment with motivation for cardio-vascular exercise like an app called Zombies, Run!, which uses AR to simulate a race for survival from zombies. Meanwhile, in the Netherlands, an AR project – AED4EU – has been launched to help people find public defibrillators. AR and VR have also shown promise in helping patients manage their post-stroke rehabilitation, eating disorders and obesity, and chronic pain. A UK start-up called Immersive Rehab is using a combination of neuro and physical rehabilitation in a virtual 3D world where patients interact with virtual objects in cases where this is not possible in the physical world, allowing the person to exercise their motor functions. It is unclear, however, to what extent these benefits are realised as the technology is still relatively new, and evidence of the benefits of AR and VR remains anecdotal. While cost savings could incentivise investment, using these technologies to replace human resources could have an impact on the job market across industries, including the health sector. For instance, virtual instead of ‘real’ doctors could become more commonplace. While the displacement of some jobs is likely, AR and VR could also create new jobs. 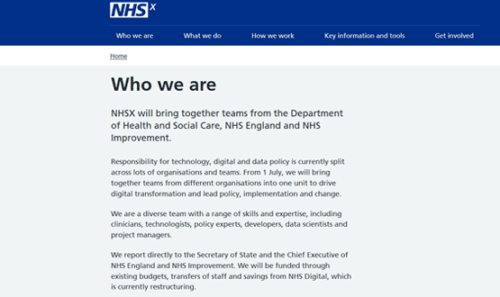 This will require a mix of new technical and professional skills, including ICT specialist skills and increased digital literacy for health practitioners and workers who design the digital infrastructure for health immersive technology. Additionally, AR and VR might also see a heightened demand from workers from science, technology, engineering and mathematics backgrounds. There is an ongoing need to understand the transformations in the health sector and how the opportunities and risks of advancements in digital technology can shape health futures. AR and VR technology could potentially create considerable benefits for the UK’s health sector by improving health outcomes through applications in monitoring and incentivising healthy behaviour, augmenting health practitioners’ capabilities and current practices in healthcare, as well as creating opportunities to improve access and quality of care while generating cost savings. However, as their relevance in healthcare grows, there is a need to gather evidence on the impact and effectiveness of these novel applications. Indeed, some risks may yet be unknown. Additionally, policymakers will need to be vigilant regarding the impact of the growing immersive technology industry on the labour economy and create a supportive environment for the flourishing of digital skills in the health sector. Anna Knack is researcher at RAND Europe in the innovation, health and science team. Want to contribute a feature article or write a guest column for Digital Health? Please go through our contributors’ guidelines (link at the bottom of the homepage) to get in touch with us. 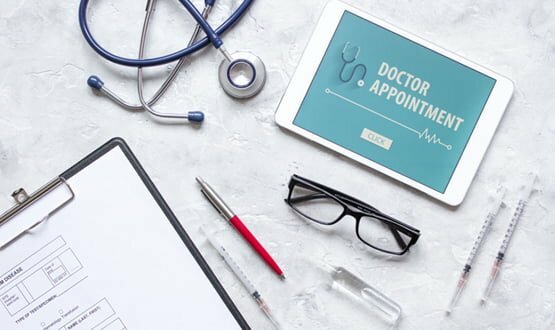 The on-demand healthcare provider that offers to deliver a doctor to your door has expanded its service thanks to increased funding.